Valentine's Day is right around the corner. 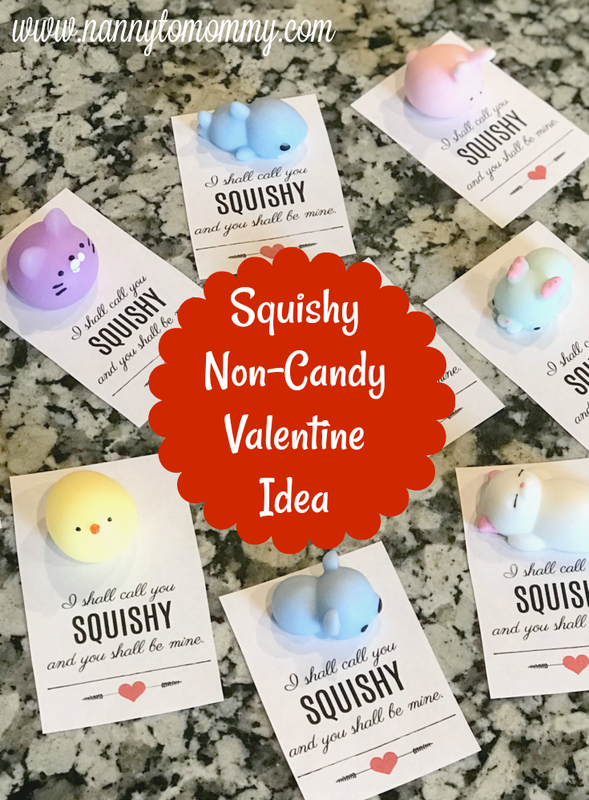 Looking for a non candy kids valentine idea? I have been trying to be a little creative each year with my kid's school valentines. This is a craft idea that you or your child can do because it is an easy printable! Squishies are all the rage in our house so I thought, why not create something that my children's whole class would enjoy! Plus I have made it into an easy, cute printable that you can enjoy with your loved ones too. I remember handing out valentines in school. You spent the day making a box to keep them in. There are so many creative boxes now. When I was in school it was just a shoebox and I think the most creative that I ever saw was someone made a mailbox. That's what I love about Pinterest because you can find so much inspiration. Last year, my daughter and I made her a unicorn valentine box. To make these valentines, it is very simple. I simply purchase these squishy 40 count that I found on Amazon, but if you need less, then you can find smaller lots with better deals. I have two children in school now, so this should cover both of their classes. Boy and girls a like love squishies. And in this set it included bunny, ducks, cats, pandas, and even sharks! What I love about shopping for little trinkets like this on Amazon, you can find so many different styles and types of different things to choose from which makes finding a unique gift a breeze. 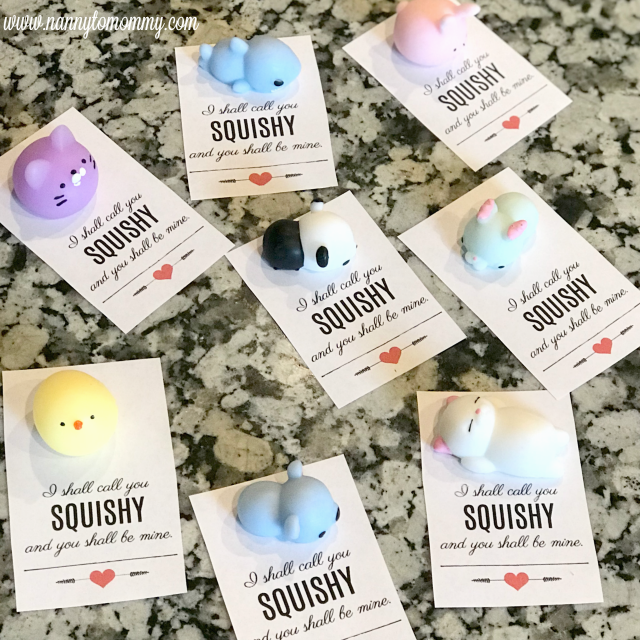 The type of squishies are bought are not foam, but made from high quality TPR material, can be rinsed with water directly when they are dirty. Just use a little soap to wash it for a few minutes and dirt wash off. If you are looking for foam squishies, then I found this 30 count for a great deal. If you would like to printable the individual card, click the image below. There are multiple ways you could apply the labels. 1. Cut them out, fold them over, and staple/tape them. Find that 9 count printable HERE. 2. Cut them out and tape them. Find that 12 count printable HERE. 3. If you have thick card stock, then you can attach the sticky to the top of the printable. On the line you can add: "From: Your child's name", "Love, Your child's name", or what ever else you would like. I like to put these together with my daughter. We enjoy crafting together and she loves giving little, sweet gifts to her friends. 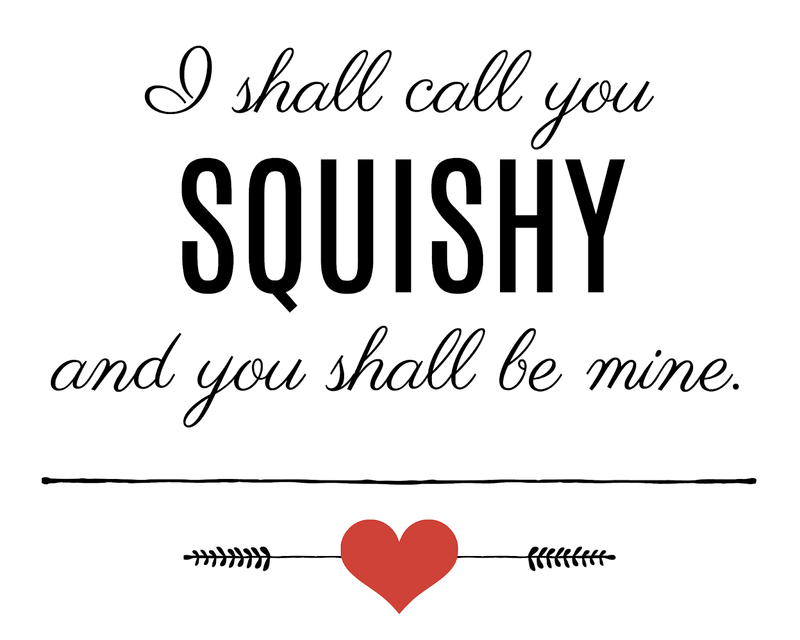 These squishies are the perfect, creative valentine gift for boys or girls alike. If you liked or used this printable, please let me know in the comments below. Do your kids hand out valentines? If you liked this post, check out the posts below! Super cute! Thanks for sharing at The Clever Chicks! Love this idea! Going to use it for my class gifts for Valentine's day. Thanks!